No matter what, you are only human! You can only do what you need to do for happiness, health and live your life how you want to. Avoid situations that make you feel worse. Be the better person and do what’s right for you. How has your week been? This week for me, well its had its ups and its downs really. Like most weeks I guess. I went back to work on Monday after being off sick for 2 days the week before. I wasn’t 100% but I could sit at my desk and work. I am one to be organised, prepared and busy. I must have things ticking in my mind and distracting me from feeling unwell or inviting unwanted thoughts to my brain. I can definitely say I have been busy every day of this working week. Not really time to stop and think which is really good for me. On Monday I took my friend to the hospital in our lunch break. Nothing serious just to pick up a letter. We then walked round Sainsbury’s after for food and a chat. I have appreciated good company again this week. I am all for a positive these days and nothing less. This week again has been a really chilled week. I am really into the book I am reading and I once again don’t want to put the book down. This is something that has really helped me this year. I don’t know why because a book to me is normally something I read a page and think yeah that’ll do and never pick it up again. But its my just me, no social media, me time. It’s amazing how chilled and relaxed you are. It’s definitely helping me with a betters night sleep! My heartburn has really annoyed me this week. I mean on Thursday at Pilates I really did feel like my dinner was going to come back up. That and burping continuously. I have tried everything and even my go to gaviscon isn’t helping. But I am talking to my doctor to resolve this, being we think its due to my medication. Another positive to having heartburn and feeling sick is that I keep drinking continuously. I reckon I drink a pint of watered down blackcurrant an hour when I am at work, so roughly 7-8 pints. Which is so good for your health and staying hydrated. It does help a little with the sickness. There is always a positive in every situation even if it’s a problem! As much as I love Pilates it’s getting to the point where its annoying me or frustrating me that my stomach just won’t corporate with how well I can do moves. I miss the mermaids and the toe touches. I want to be free of this and just jump into any move possible. But never the less I have to be grateful for what I can do. 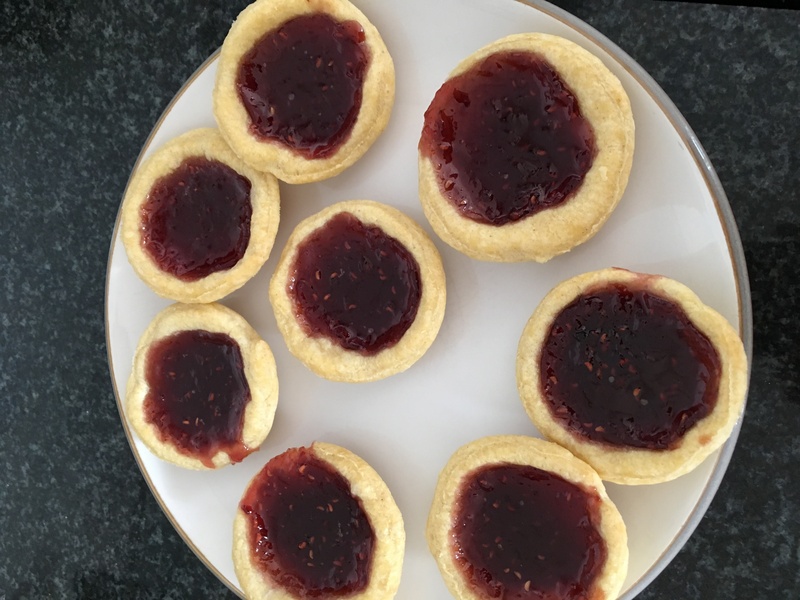 As a bonus my mum cooked me jam tarts as a treat. Of course in true Melanie Kate style, they were for breakfast on Friday. Pudding or goodies are always the best for breakfast. I did have 2 on the way to Pilates as well. I have really been suffering with bloating this week. Its most evenings really, so I am considering trying the endo diet again or trying something to help me stop looking 6 months pregnant every night. I am off food shopping today so I will be finding some ways to try help. This could be an endometriosis flare up or me still slightly under the weather but its worth a try definitely! On Friday night I had Abigail for a few hours. I am in charge of her birthday party which you will see over the next few weeks. Fingers crossed to be a new adventure for me too. Well why not be hyper at my house and go crazy! What did my sister feed her? In the end we just laid on the sofa together and watched Topsy and Tim. Abigail nearly 7 knows the words to every episode but still wants to watch it. I was so glad for the weekend. It was a long week. I love lazy weekends, one with no certain plans. But that is really what I need right now. If my body wants to sleep in till 10am then if obviously needs it. Yesterday was a day of returning clothes that I changed my mind on, getting my new glasses and randomly we rode in a massive wind storm. Only a few times Digby spooked I was fine. I haven’t rode in a good 6 years I think maybe less I am not too sure. I love horses and having them as family pets. It’s crazy to think I am slimmer now than when I was the last time I had these Jodhpurs on. I think I have even shrunk because they were too long for me as well. 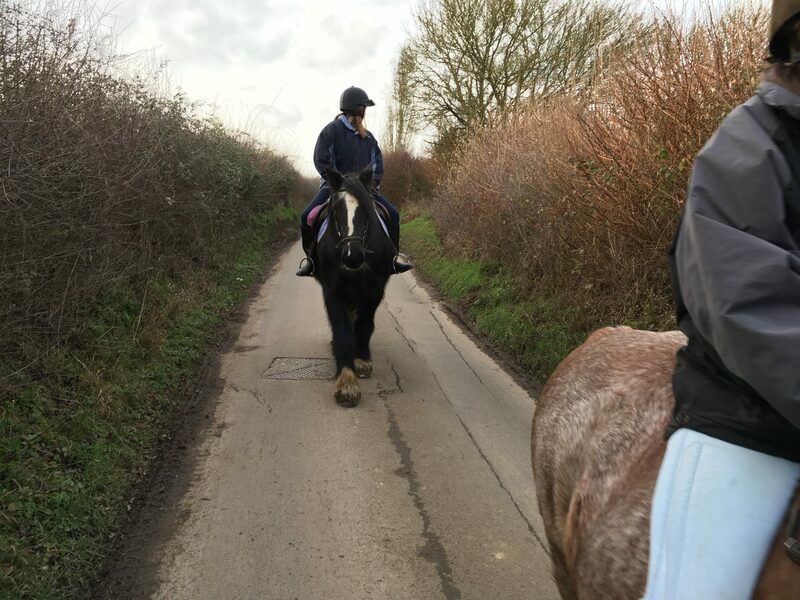 The coat I am wearing is the coat I was brought aged 11 when I did riding lessons and that is too big for me but keeps me warm from the wind. To think I am a size 10 now aged 28, smallest I have been since I was 11. Its crazy. I guess it’s a coincidence that I am now healthier in shape but my health trials me to my best abilities. One day I will be back to myself like the jodhpurs okay they are like 3 sizes too big but they are normal trousers. I wore them and didn’t have tummy ache. Yet if I wear jeans my size they have to be maternity because my stomach hates them if they are proper. It’s completely random. Never the less, looking into the future who knows what will happen. If you think positive or find one in every situation you will feel better or happier no matter what is chucked at you. I have really looked for positives this week or tried to anyway. By not thinking or letting the negative in you should start to see an improvement. 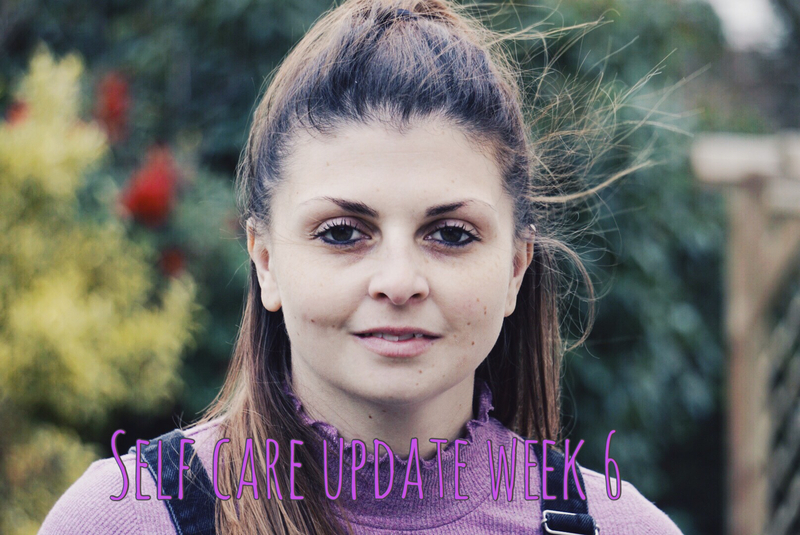 Making the time to add more self care into my schedule has really helped me. I am meditating most days and I want to continue this daily so it just becomes a habit. I am reading daily, doing pilates when I can, eating healthy and socialising with my friends. Even spending time riding is time well spent. Letting the fresh air hit your body and exercising my core. In terms of my self care journal I am really struggling still with how I was brave each day. I don’t want it to be the same each day which probably isn’t helping me. But I am still writing in both daily. I have even seen some ideas I want to add to my bullet journal to make it more colourful. For the week to come I want to try something new. Its going to be hard to find time with working 5 days and going to the farm for Aurelia’s first birthday Sunday. But I want to I don’t know what it will be yet and maybe I will do some research after this but I need that to keep the journey to a happier, healthier me going. No matter what you are you and you cannot change for anyone but yourself. Remember that and if people want you to change think twice about who they are and what they are to you. The main people you want around you are positive, good and supportive friends and family. What is your favourite self care to practice? Are you wanting to try something new?